What is the best material for making a raised bed? This entry was posted on 12th October 2018 by WoodBlocX. 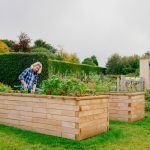 There are many different types of materials that can be used to build raised garden beds from wood through to brick, our customers tell us they spend time researching the options to find out which material is best suited for what they want to achieve in their garden. The aim of this blog is to include all of the information you need in one place to save you time searching and to help you make the right choice for your next garden project. We’ve listed the different materials you could use and included approximate costs based on raised beds of similar sizes, Options listed are in price order. Raised beds can be made from either brand new or reclaimed bricks, you will need to include foundations to build on to create a stable structure. To build it you could set yourself a challenge but to ensure the bricks are laid straight and level and the mortar mix is correct, but if you’re not experienced in bricklaying it is best to enlist the help of a skilled tradesperson. Building raised beds out railway sleepers is fairly straightforward, you can buy lengths from timber merchants or garden and DIY retailers in hardwood and softwood varieties (pine or oak), the lengths will need to be cut to size, and you will need to drill holes down through the sleepers and insert reinforcing bars to hold them together. Most new railway sleepers are pre-treated with a preservative, older sleepers or reclaimed sleepers tend to be treated with creosote which is harmful and not recommended for using in the garden. An easy-to-build, waste-free option, no cutting or drilling is required, the pieces are similar to Lego and are built up like brick-work and held together with a series of dowels, these combined with the layers of blocks make a strong structure which will last for 15 years or more. No special skills or tools are needed to build a WoodBlocX raised bed and each kit comes with a set of step by step instructions. 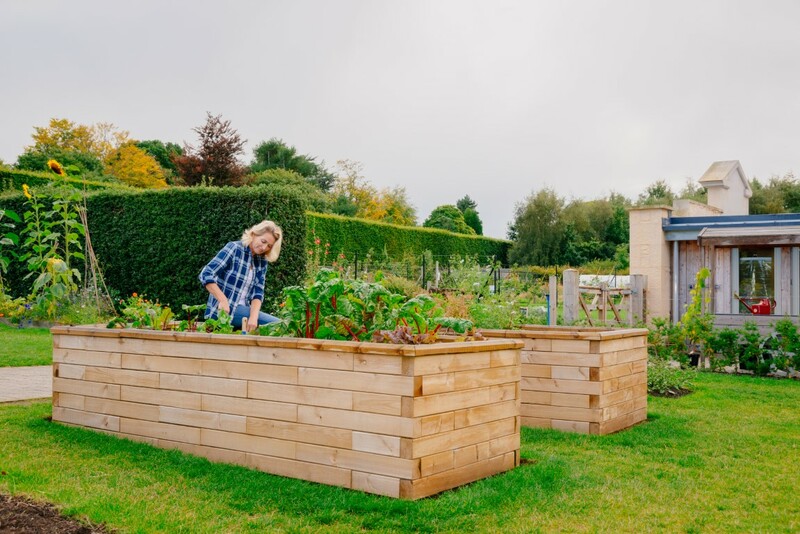 By far the cheapest option for building raised beds, however, wooden boards are only suitable for low-level planting as the boards are not strong enough to hold the weight of large amounts of soil. Simply cut the boards to size and use 3” 2” timber as stakes and to reinforce the corners and to create a frame to build to. There are metal raised bed options available, made from galvanised steel, kits are fairly simple to put together using bolts and prices start at around £450. There are also plastic options for low- level planting but these are not built to last. To browse our wide range of wooden raised beds, planters, ponds, seats, retaining wall kits, or to use our free bespoke design service click the button below.